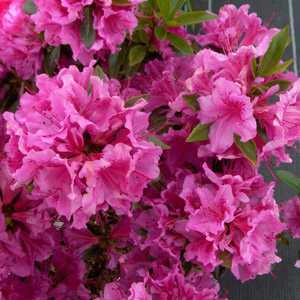 Azalea Japonica 'Blauwe Donau Purple' is an evergreen shrub. It has dark green foliage and bears beautiful velvety pink-purple flowers. The breathtaking blooms appear in May - June and accompany the flat growth beautifully as well as being a good wildlife attractant for your garden.